Personalities can vary from calm and watchful/observant to energetic. 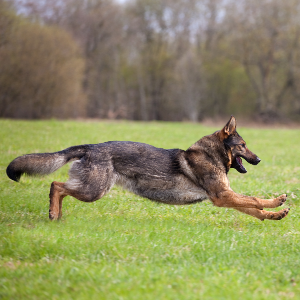 Enjoy participating in dog sports such as agility, tracking, flyball, and competitive obedience. Eager to learn and respond well to reward-based training. 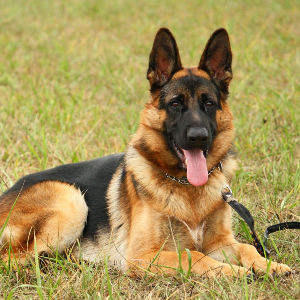 The German Shepherd Dog was originally bred for various purposes including the guarding of people and/or property. 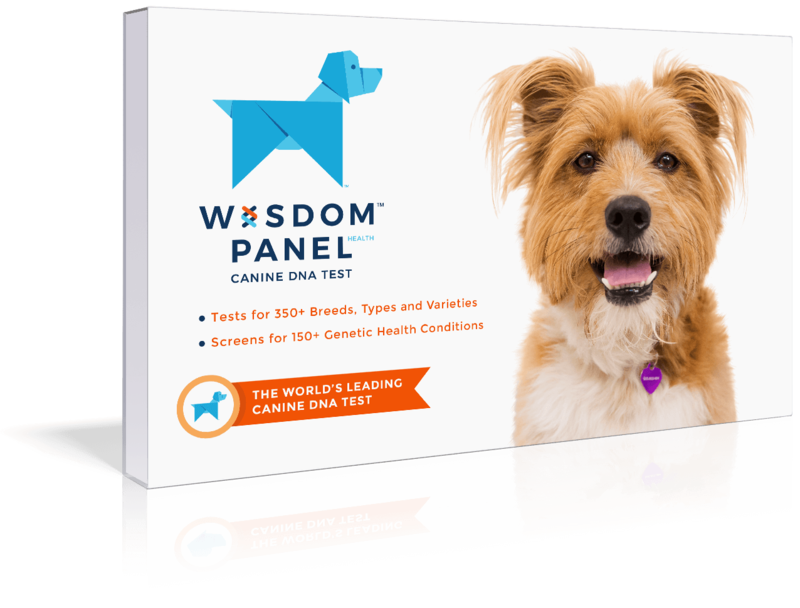 Individual members of this breed will benefit from firm and dedicated training to temper this guarding tendency, and thus help to maintain safety as a household companion. These happy and loyal Swiss fellows are a cross between the long-haired, short-haired and wire-haired shepherd dogs of the German regions of Württemberg, Thuringia and Bavaria. 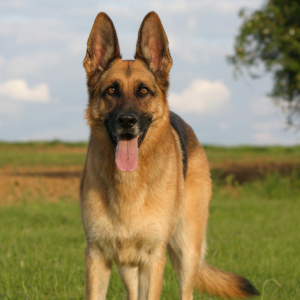 The German Shepherd was first recognized by the AKC in 1908. 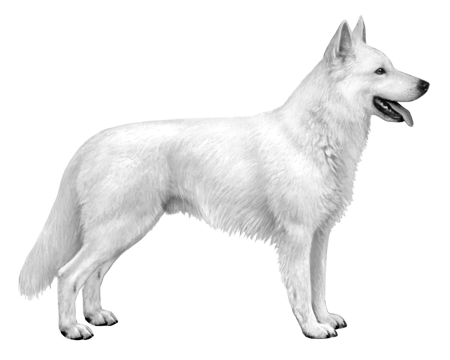 The white-coated variant was removed from the main breed standard in 1968, but was conserved by breeders in Switzerland, who developed the breed we know today. 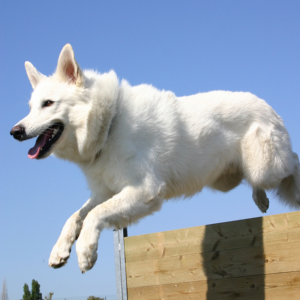 Sometimes known as the White Swiss Shepherd or the Berger Blanc Suisse, they were first bred for herding, but their strength and intelligence meant they soon became popular in a variety of roles. 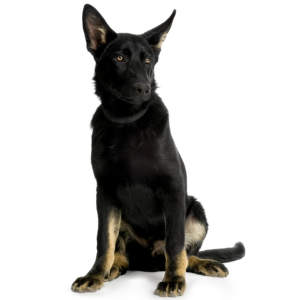 Guard dogs, guide dogs, search and rescue dogs, police dogs and military dogs. You name it, these distinct white dogs have done it – and still do.